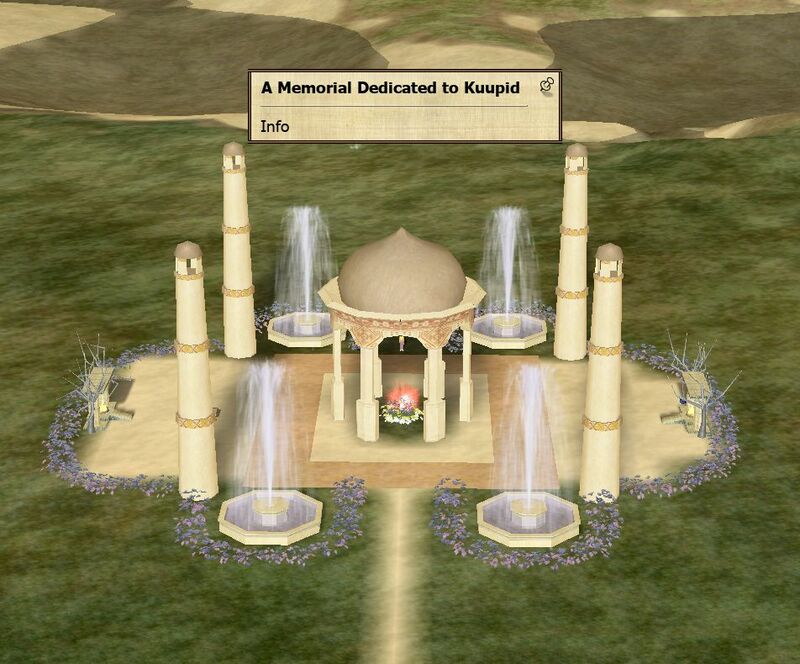 Kuupid was a kind and welcoming member of the ATITD community. We are so sad to hear of her passing. 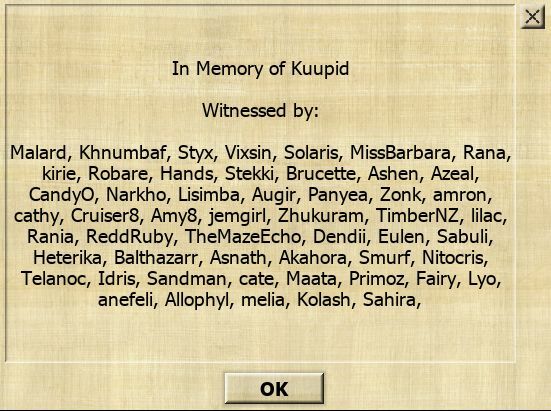 So many of us remember her helping hands of friendship. 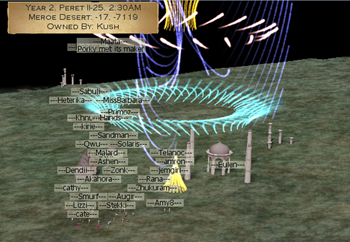 Here are some screenshots taken at the inauguration of her Memorial Garden in Meroe (near the Chariot Stop). This page was last edited on 23 October 2018, at 11:51.